The Solution Series is a flexible and stylish line of work stations perfect for a wide variety of laboratory functions. This laboratory work station is solid, durable, and unique in its round posts making it stylish and extremely functional. 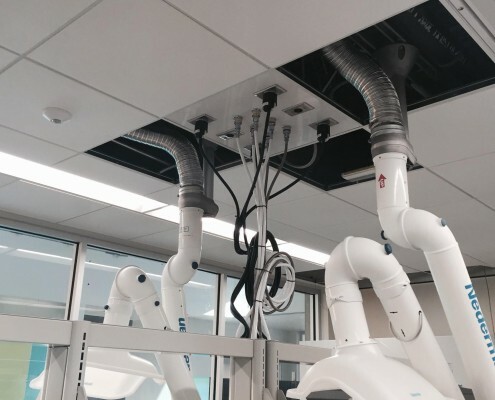 From clean rooms to research facilities to teaching labs there is a configuration to meet your needs. 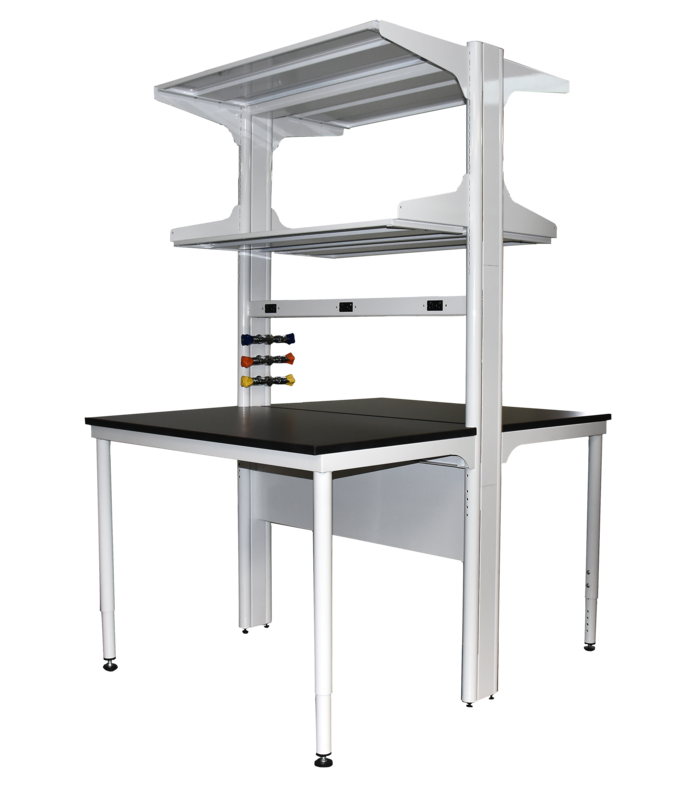 The Student Table flexible laboratory workstation can be specified as stationary, adjustable height, and knock-down.